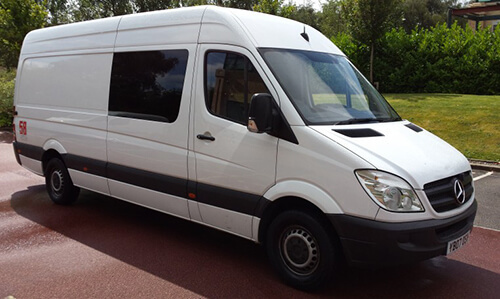 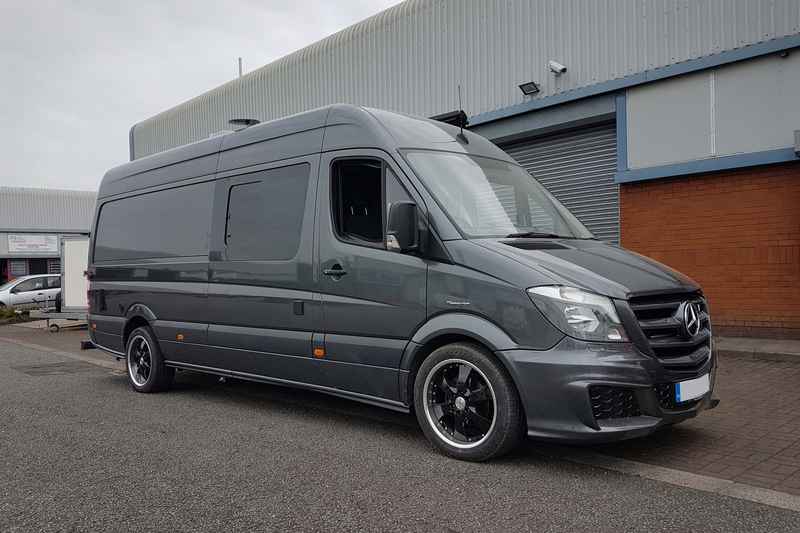 Luxury and versatility make our Mercedes Benz Race van the perfect solution for carrying your crew in comfort. 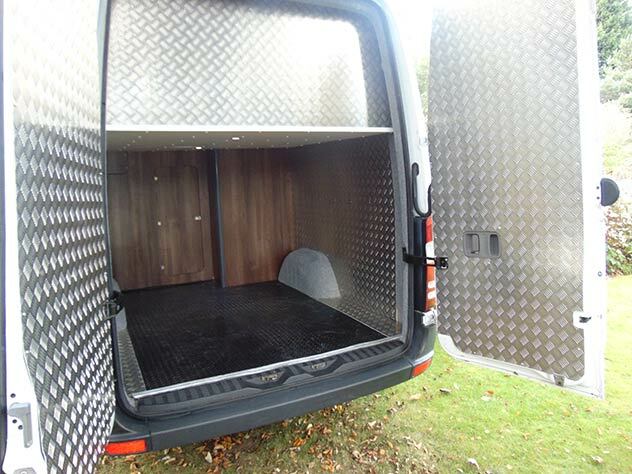 Its large load area is excellent for moving around leisure equipment such as go-carts, motorbikes, mountain bikes and surf gear. 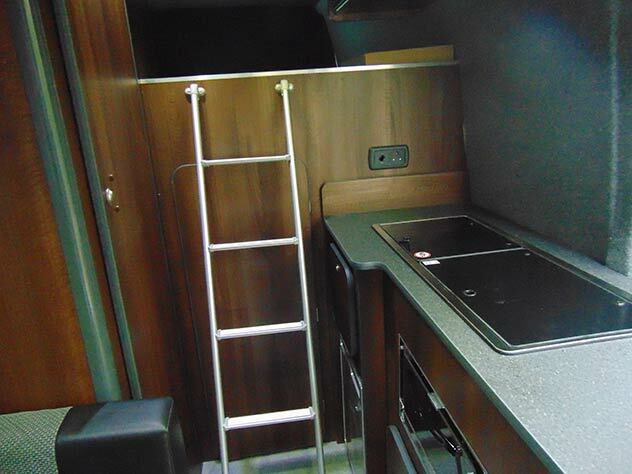 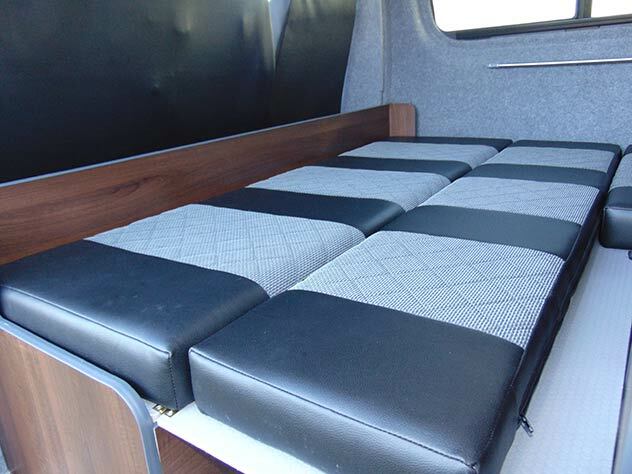 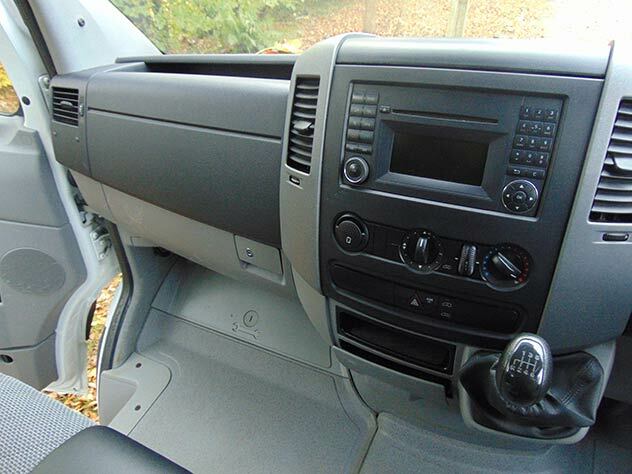 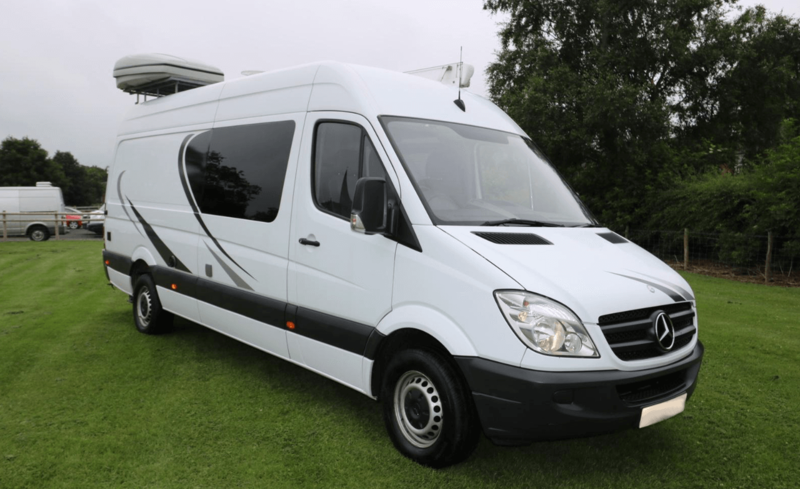 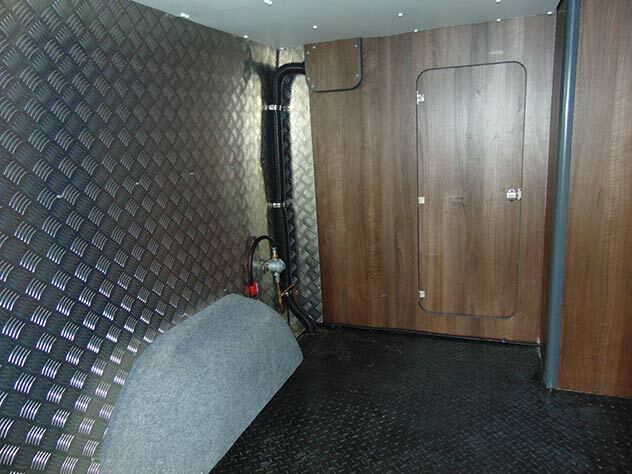 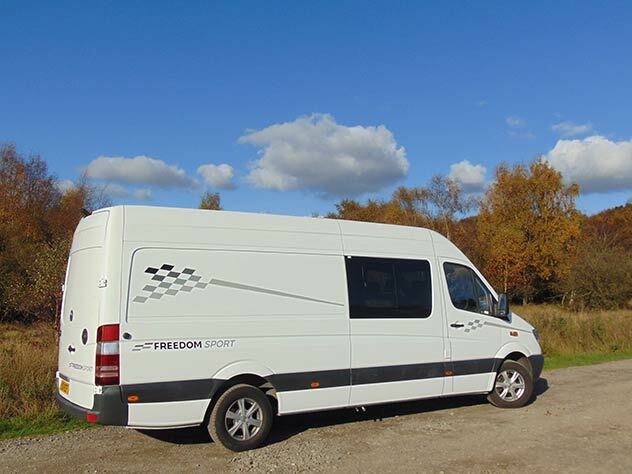 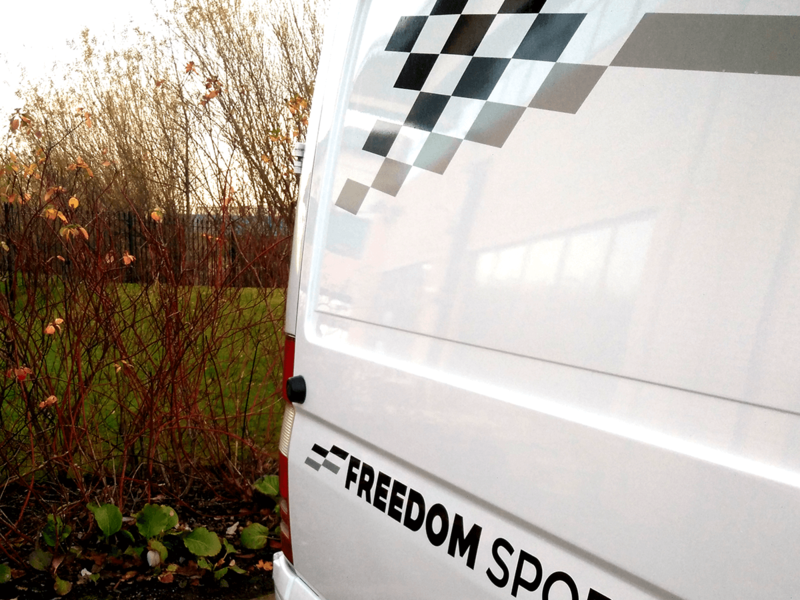 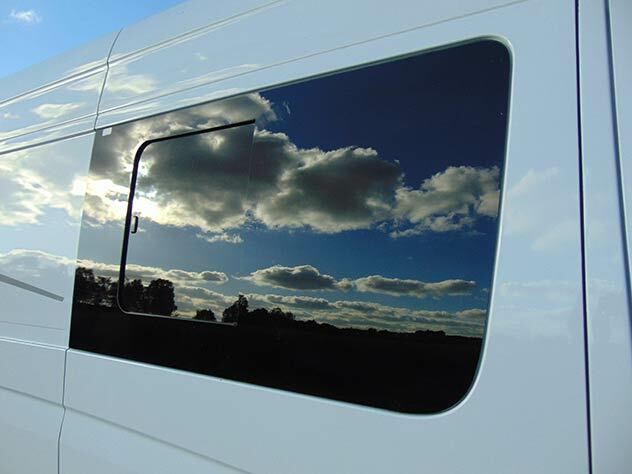 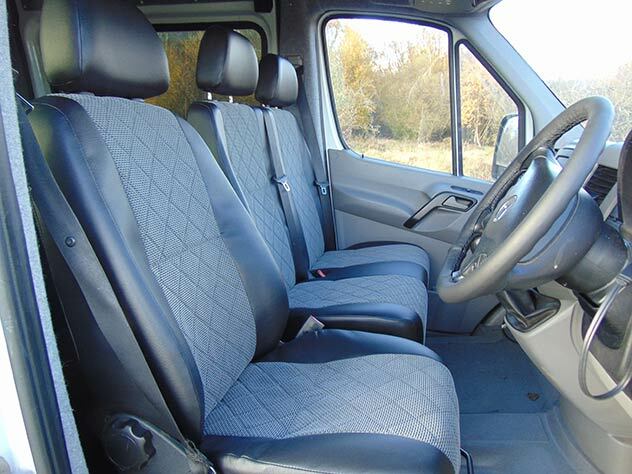 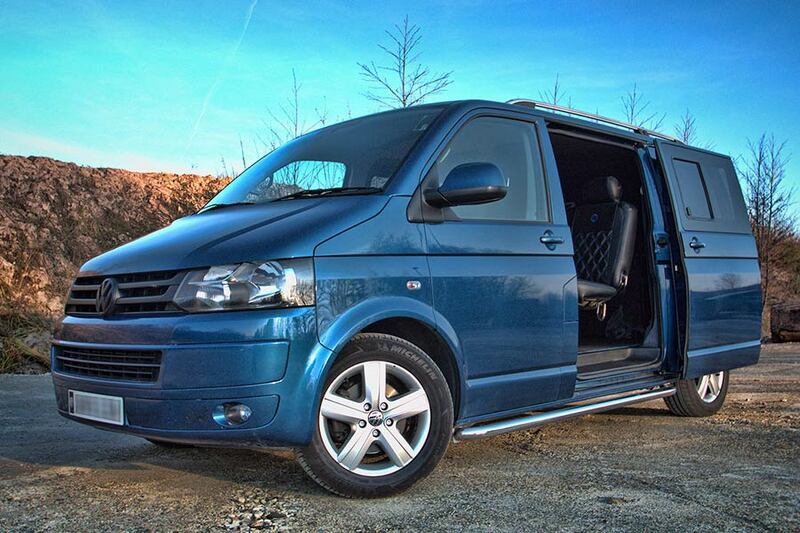 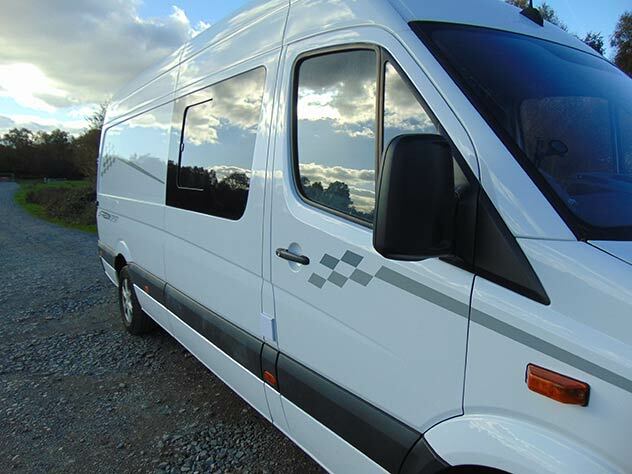 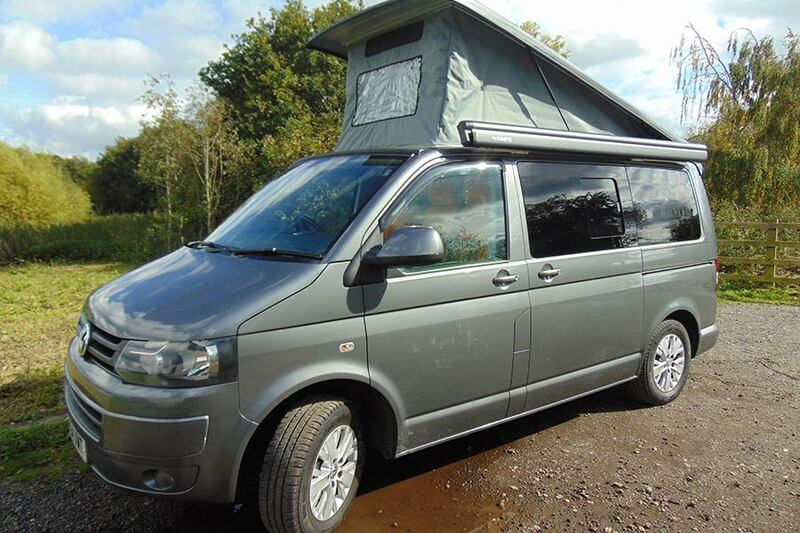 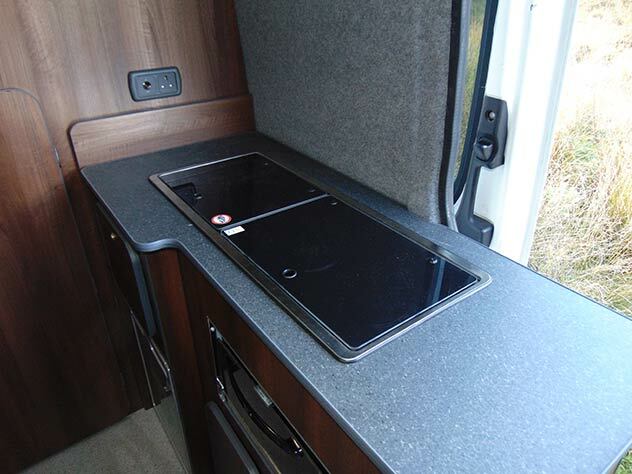 Our Race Van is our highest specified and most luxurious van conversion in the range, with built-in cabinets, a fridge, sink, gas hob and table to make any race trip a great experience. 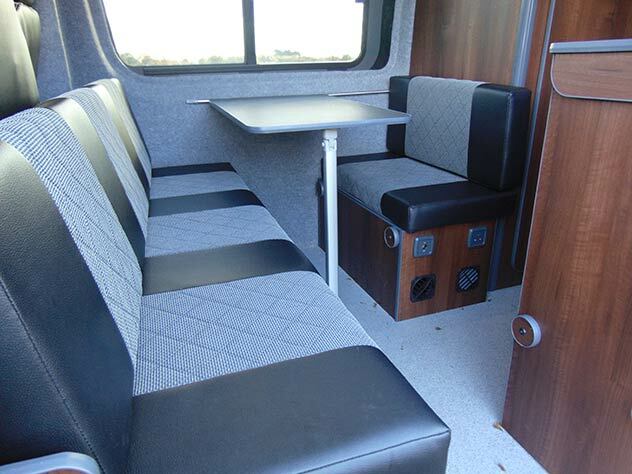 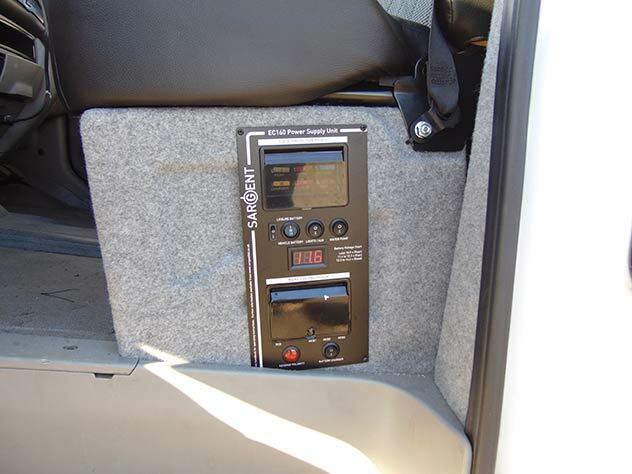 The Race Van has two bed compartments and is equipped with a mains hook up system for plugging into mains power when you pitch-up. 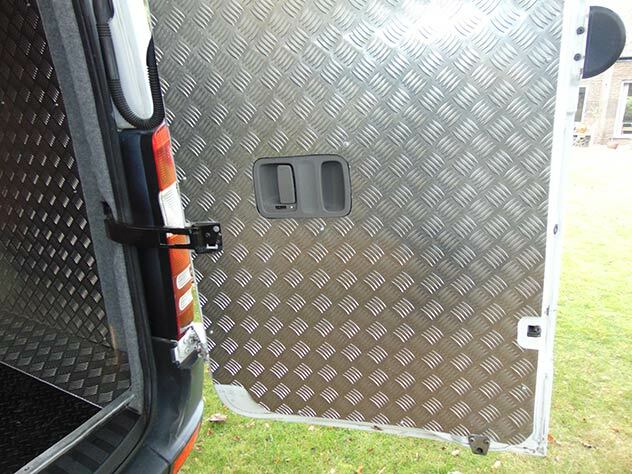 Contact our team today for your free personalised quote! 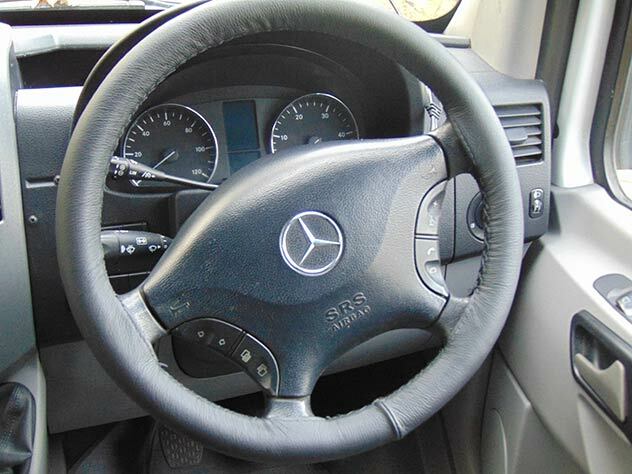 © 2019 Handsfree Group Ltd.